Nutone Ultra Green™ Ventilation fan with light, has voltage rating of 120-Volts, current rating of 0.9-Amp and power consumption of 8.7-Watts at 60-Hz. Housing of this fan has a dimension of 10-1/2-Inch x 11-3/8-Inch x 7-5/8-Inch. It effectively delivers an airflow of 110 CFM and accommodates two 18-Watt fluorescent lamps. This <0.3 Sones rated fan offers premium ventilation to effectively minimize airborne pollutants. White polymeric grille of this fan has a dimension of 13-Inch x 13-3/4-Inch. It includes exclusive telescoping mounting frame with pre-installed screws, snap-in housing, snap-in blower and an inside-out mounting duct connector for quick installation. Easy-to-position carriage of this fan permits housing location adjustment between joists for controlling the correct ceiling placement. It is great for both spot ventilation in humid bathrooms as well as continuous ventilation. 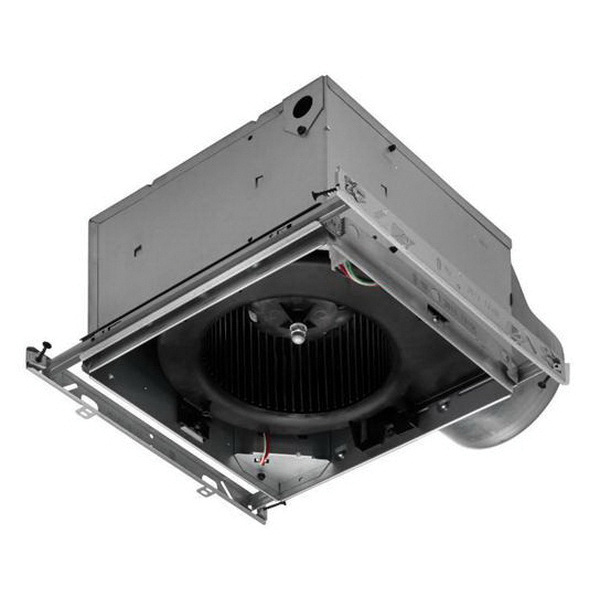 Ventilation fan is UL listed, HVI certified and Energy Star certified.